Shearings Holidays has launched 21 new itineraries and added the 4-star MS Serenade 2 to its range of five exclusively chartered ships as part of its 2016 river cruise programme. Shearings, which has seen strong growth again this year in river cruise, will offer for the first time cruises on board the unique MS Serenade 2, one of Europe’s favourite river cruise vessels, renowned for its cutting edge design and spacious cabins. Five brand new itineraries will operate on-board the ship, sailing along the majestic Danube River including the 17-days ‘Spectacular Danube to the Black Sea’ tour, with visits to six countries, including cruising through the iconic Iron Gates . Prices start from £1,969pp. The award-winning tour operator have also updated its selection of ‘Exclusive to Shearings’ cruises, operating four new itineraries on board the elegant 4-star MPS Da Vinci including a 10-days ‘Rhine in Flames – The Night of Fire Magic’ cruise, available from £1139. It has also added three new itineraries on the popular MPS Rotterdam, including the 10-day ‘Majestic Rhine and Main Valley’ cruise, available from £1179. 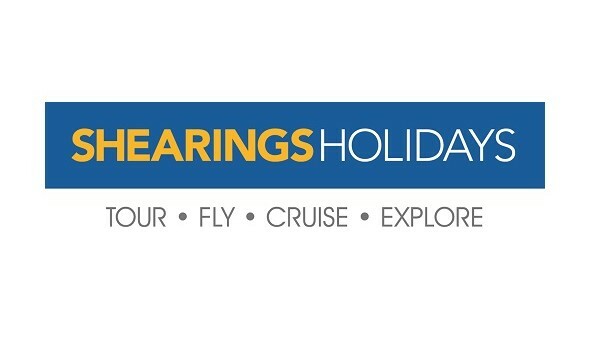 In addition, and in-line with customer feedback, Shearings now offers an even larger collection of ‘Escorted by Shearings’ All Inclusive cruises, touring along a range of rivers in France and Italy. Shearings also continues to offer a great range of complimentary river cruises throughout the world, including cruises on the Douro, Yangtze, Mississippi and the Mekong River. Customers who wish to make the most of their River Cruise experience, or simply want more time to explore their chosen destination, can choose to extend their stay or take advantage of one of the great offers on Shearings ‘Combination cruises’, which gives them the flexibility to combine two river cruises from the company’s chartered collection. Agents can also offer the new three-night ‘Scenic Rhine Mini-Cruise’ itinerary which provides a great taster experience for customers who are new to cruising, with stops in Bonn, Andernach, and Cologne. Prices start from £579pp. Caroline Brown, commercial director at Shearings, said: “Our 2016 programme will help us to meet the growing demand for river cruise holidays, offering customers a variety of new and unique experiences at competitive prices. We’re very excited with the addition of the MS Serenade 2 and its great array of itineraries, offering customers the opportunity to explore charming destinations further afield. ‘We worked hard to develop an exciting programme, which appeals to both existing and new customers alike. We’ve also for the first time included a brand new pull out ‘Rivers of Europe’ map within our 2016 River Cruise brochure, to help agents find the perfect cruises for their customers’. Agents will receive a 110 page River Cruise 2016 brochure featuring 49 itineraries. Customers booking before the 16th November will save up to £100 per couple.